The Ardshealach Lodge & Restaurant is a beautifully appointed old hunting lodge which has been magnificently restored and converted to provide a few letting bedrooms and an excellent dining room serving delicious locally-sourced food. The Loch Shiel Hotel has an excellent public bar and serves meals to non-residents, as does the Salen Hotel, located 3 miles from Acharacle on the shore of Loch Sunart. The beach at Dorlin with the commanding presence of Castle Tioram is only 10 minutes drive from Rowanhill Cottage. 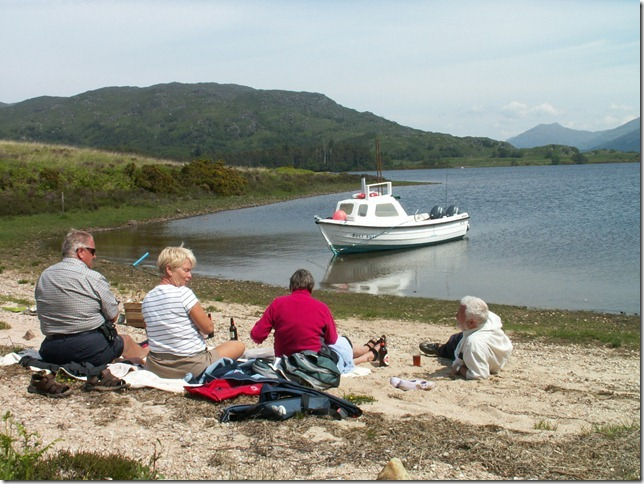 The sandy beaches at Ardtoe and Kentra are about 30 minutes drive from Rowanhill Cottage. Ben Resipol, 2774 ft, is a notable landmark.